The theme at this cozy Wicker Park diner is old-school railroad dining car, which is fitting considering it’s underneath the Damen stop on the Blue Line. The menu has plenty of choices for eats (nachos, salads, burgers) and even more for drinks (pear, cucumber, even snickerdoodle martinis are represented). 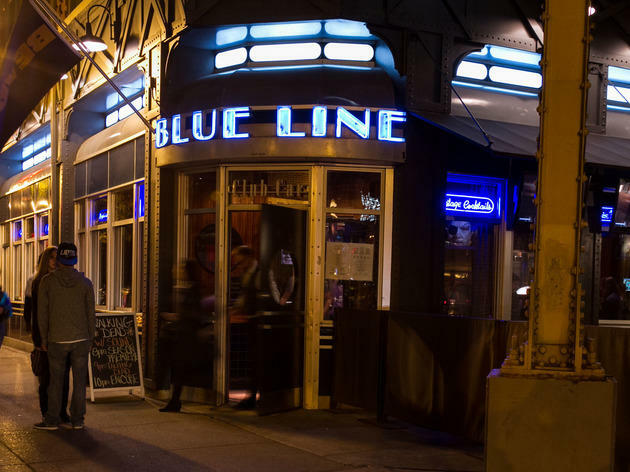 Drink up: The CTA's only a few steps away. 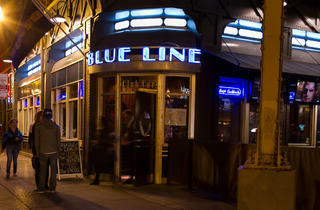 Blue Line is my go-to weekend brunch spot. Nothing fancy or extraordinarily delicious, but the staff + relaxed vibes (and cheap breakfast booze) keep me coming back. And it's such a classic diner -- BEST DECORATIONS DURING HOLIDAYs! Hands down!